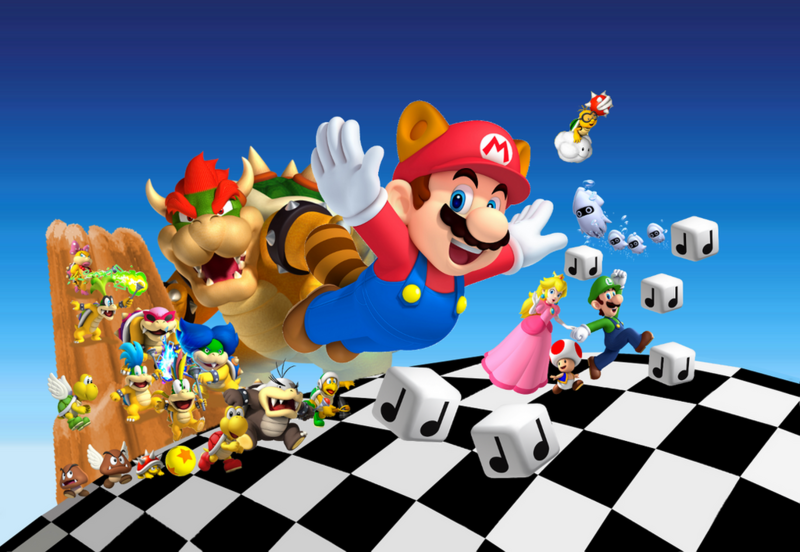 In this series articles celebrating the upcoming 30th Anniversary of Super Mario, various members of the Nintendo Life extended family will share their memories and thoughts on the iconic franchise. This time we have our lovely reviewer Evan Chambers. We never had an NES when I was growing up. It wasn't until the Game Boy Color that I got my first taste of owning some of that Nintendo magic. The Nintendo 64 was our first foray into Nintendo home consoles. That's not to say that I didn't play the NES or SNES growing up. My cousins and friends had the consoles and would show off their spectacular new games every time I went to visit. Every Mario game under the sun was tossed into those systems each time I was around. It was Thanksgiving a few years ago, and we were at my mother-in-law's place for an assortment of deliciously home-cooked foods. Turkey, squash soup, vegetables, mashed potatoes… the list goes on. After the meal we all gathered in the living room to let our bodies attempt to digest our feast, and that was when my brother-in-law brought up the topic of favourite old video games. Of course, you can't have a discussion about childhood video game favourites without mentioning Mario at least half a dozen times. His favourite Super Mario game was none other than Super Mario Bros. 3 (and I know he's not alone at placing that game at the top of his list). We reminisced about Toad, Mushroom Houses, Flutes, and Koopalings. That's when it struck him. He still had his NES and a copy of Super Mario Bros. 3 in his mother's basement! Once it had been said, we knew that we had to hook it up and bring back all of those memories. While I fiddled with cables behind the old CRT TV, my brother-in-law set up the NES, with SMB3 and two old controllers in tow. Finally, after having to blow on the cartridge a couple times to get the dust off the contacts (yes, I know you're not supposed to), we watched the iconic red curtain open up to reveal Super Mario Bros. 3. Our rule was that we had to play every world, start to finish, without the use of cheats or flutes. I volunteered to play as Luigi (I'm a sucker for that green hat), and we embarked on our quest to save the ever-enticing Princess Toadstool, and all of the transformed Kings from each of the seven kingdoms. Before we knew it, we were in World 8, staring down the barrels of the tanks in Bowser's Army. It was also 4:00 AM! My wife had long since gone to bed, and it was only the two us up, like little kids, basking in the glow of the TV. We had been playing all night, taking turns, running our way through all of the magical kingdoms. We didn't stop until Bowser lay defeated by the two Italian plumbers. I'll never forget that Thanksgiving, and my brother-in-law and I still like to reminisce about it. Maybe next this year we'll take a run through Super Mario World (the one at the top of the list my favourite childhood Mario games)! blew on the cartridge that slowly dissolves the inside. I never did that. LOVE THIS GAME! I found the Game Boy Advance game for £2 in a charity shop too! Best 2D Mario platformer ever! For me, it's not quite up there with Super Mario World and Yoshi's Island (pretty much my two favourite games of all time), and it's probably purely only because Mario's physics in SMB3 are a tiny bit too slidey and punishing for me personally, but it's undoubtedly one of the true great platformers of our times. With Super Mario World's Mario physics, and using the Super Mario All-Stars version of the game, I might actually consider this the greatest Mario platformer out there, but, sadly, there is no version of this game with the superior Super Mario World Mario physics. 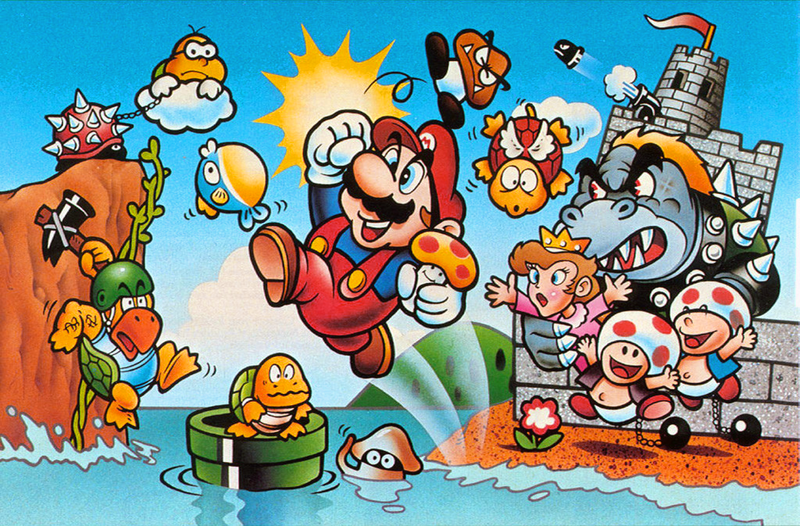 I wish Nintendo would actually make a new Mario game that looked like that SMB3 image in the article though, but in full 3D, yet still with that cartoony art style and still a proper classic side-scrolling platformer (so basically the ultimate 2.5D Mario platformer). I can because I never played Super Mario 3 until I was 17... D'oh! ...and I still don't have a copy of SMB3! I'll never forget seeing it for the first time at a friends' house who imported a U.S copy, it blew me away. I guess I wasn't allowed it when I asked my parents. So I've been a SMW fanboy ever since! Ahhhh, Super Mario Bros. 3! At the time, when I was a kid, I too was playing at my friend's house, and he actually had TWO versions of it: the original and the Super Mario All Stars edition, which was the one we played the most. We usually got stuck in the Dark Land, both in the hand section and in the tanks level! Or sometimes, we just tried random worlds, with the Ice Land and Water Land being the most favorite (well, there was also the Giant Land, but that was for special occasions!)! And, of course, I usually ended up battling my friends just for fun (well, almost for fun, as he usually ended up losing precious cards!). Oh, we also tried the stand-alone battle mode which now i recognize being a remastered version of the original Mario Bros.! Finally, needless to say that I was also getting overpowered items that usually were lost in the most stupid ways, with my friend being upset especially when I losed the Tanuki suit! @Kirk: remember that in Super Mario Bros. 3 Bowser had blue eyes like Larry, Iggy and Wendy! This was a very nice connection between father and children that unfortunately was lost already in Super Mario World! But if you watch both the Amada anime series and the feature-length anime you will see that in both of them Bowser had blue eyes (in fact, in the Amada series, which is based directly on Super Mario Bros. 3, Bowser even sometimes had a cape!)! 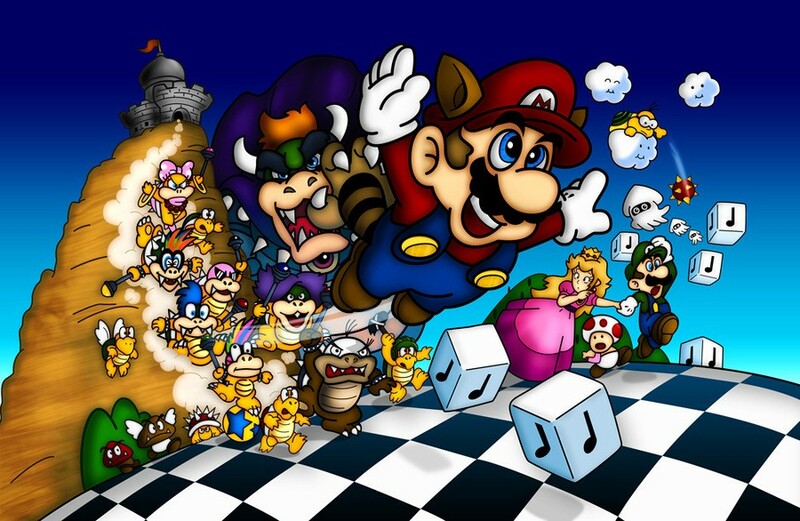 I think I would rather like a vector art 2D Mario platformer with true temporal and resolution independence, that would be a timeless classic in every sense! Great game, adn great box art. 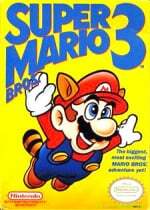 The whole focal point of the game is Mario and his raccoon suit. Simplicity is key. I also like how quick the levels are. Future mario titles would feel like a marathon compared to SMB 3 level length. Ugh...I love this game so much. I prefer the NES version to the redone All Stars version. If I ever have kids and they want to play video games, this is gonna be their first game. This and perhaps Mega Man. I'd want to raise them on challenging games! would it be copyright infringement if someone made SMB3 in its entirety in Super Mario Maker? Cuz that is the only reason I want to buy that game. I just want to play all of the old mario games remade - I own them all in virtual console - but whatever. @vitalemrecords I highly doubt it. You're not making money off the levels you create so I don't think copyright infringement would come into the equation. I mean Nintendo is making it very clear you can make whatever you want with it. And I'm sure there will be a LOT of recreation levels posted online. "Finally, after having to blow on the cartridge a couple times to get the dust off the contacts (yes, I know you're not supposed to)"
Even though some folks may say "you're not supposed to", I still believe it's a good cleaning method for game cartridges like this one. @vitalemrecords: if I am not mistaken, Super Mario Maker doesn't support slopes, and also you won't have any Koopalings nor Boom Boom, so recreating the SMB3 experience is pretty much impossible except for some simple levels. such great memories behind this game. my first playing of it came one summer as a preteen. Went to my aunt and uncle's house in Virginia with a couple of my cousins for a week. Was my first exposure to NES Batman, Super Mario 3, Lethal Weapon 2 and Big Trouble in Little China (rented them on VHS). Needless to say a great week! @gblock If that was your first time being introduced to all 4 of those... Then you really had a great week. Nothing beats the first time you experience some of the greatest video games/movies. @Gold_Ranger We usually do that for the first world. Constant battle after battle. Then we decide we need to actually get stuff done (like clean up the Kingdom). Such good memories of SMB3, also the box art is one of best of all time. I've only experienced the All-Stars version of this game on a relative's SNES console when I was growing up. I don't recall how far I ever made it, just that I was never able to beat the game. I actually picked up the 3DS VC version from an eshop sale a few months ago, and plan on revisiting the game (and finally beating it) to celebrate Mario's 30th this month. Love it. It was the first game I ever played. I love this game! This was one of the first games I've ever played. I believe this was this game that got me into gaming, and I've never stopped gaming since. I still play it every now and then; I just have a lot of good memories from this amazing game. @Mister_Wu If they did a vector art version then they'd have to do it right, otherwise it would likely end up with that crappy, cheap, and really flat "Flash" look which I hate. It's difficult to get vector art with the level of shading and lighting/shadows that I think looks really good in the best traditional animation or graphic art, which is the thing that stops it from just looking kinda flat and cut-out. If they could get the proper lighting and shading though*, then I'd be all up for that, but I'm not confident they would because I've yet to see any vector art that's really delivered on that in anything other than still images or maybe a very short animation. I've certainly not seen a single game do it right yet, which is why I usually still prefer either classic pixel/sprite art or just going full 3D (for Mario ideally with a kind of advanced "toon-shaded" style*2, BUT not the cheap version of "toon-shading" that most developer think looks good but just looks sh*t). @Kirk You're right, a Wind Waker style would be interesting, proper shading is the current problem of vector art, though I'm wondering how difficult it would be to implement it correctly (after all, the Paper Mario series since The Thousand-Year Door looks more like vector art because the animation is really fluid, watching recordings I can confrim the animation in the PAL version is at 50 fps, not 25 fps). My favourite platformer ever. Absolutely love it. I did also love Super Mario World, just not in the same way. I much prefer the music in SMB 3, even the map screens for each world have character, and I really didn't like the 'spin jump' feature in SMW. It felt like a cheat move that enabled you to destroy koopa shells, buzzy beetles and some enemies in one hit and for me, it removed a chunk of the overall challenge. Yeah, I know you can choose not to use it for the most part but the temptation is always there SMB3 has a much better range of collectibles and power ups than SMW too. This was the game my friends and I played the most when they came over, so many happy memories. I've played it on All-Stars and the GBA, but none of them hold the magic of the NES version.